In case you haven’t heard, deal sites are the latest thing to craze the internet and consumers are flocking to these sites to save money. With so many purchases made online today, it only makes sense to use the internet to browse and find great deals so you can get your money’s worth. However, you need to be cautious when searching out deals to ensure you are getting the best deal out there. Some deal sites have the businesses advertise with them and then they promote their deals to consumers via their website, social media and direct email. Businesses often offer anywhere between 40% and 80% on their services or products and you can save quite a bit of money when you find deals that appeal to you. Other deal sites simply find coupons or deals offered by a business and then re-post those deals. Often these deal sites allow contributors to re-post deals they have found on the internet. Even businesses can submit their deals to these sites to help consumers become aware of their specials. Using deal sites can really help you find great deals you may not have thought about before. It can make your research for travel very easy with all the information at your fingertips and sometimes it can even prolong your vacation by offering you free nights at the hotel you choose. While you may think you are getting a great deal on something, take a close look at the terms and conditions. There is nothing worse than booking a day at the spa, only to find that the business doesn’t have enough staff and can’t fit you in for another year for your appointment. Other consumers have also found that they have bought deals to give away as holiday gifts and then discovered the business sold to new owners who won’t honor the old deals which can leave you out in the cold. Review the terms and conditions carefully, especially when buying deals for travel. Often there are ‘black-out’ dates which limit the days of the year you can use your coupon. If you are buying deals for travel with a certain season in mind, be sure to review the terms carefully and even contact the company to ensure the days you have in mind will be available to you. Above all, make sure you trust the business you are buying from. Research the business by searching for reviews online. It’s great to get a manicure at 80% off the regular price but if the business offering the service does a horrible job and has countless bad consumer reviews, it’s not really worth the savings to get a sub-par service or product. You can sign up to receive emails from various deal sites to notify you of deals in your area and interested areas. These emails may be sent daily or weekly. You can often edit the area(s) you are interested in such as choosing to receive deals for your local town or city or areas that you travel to. 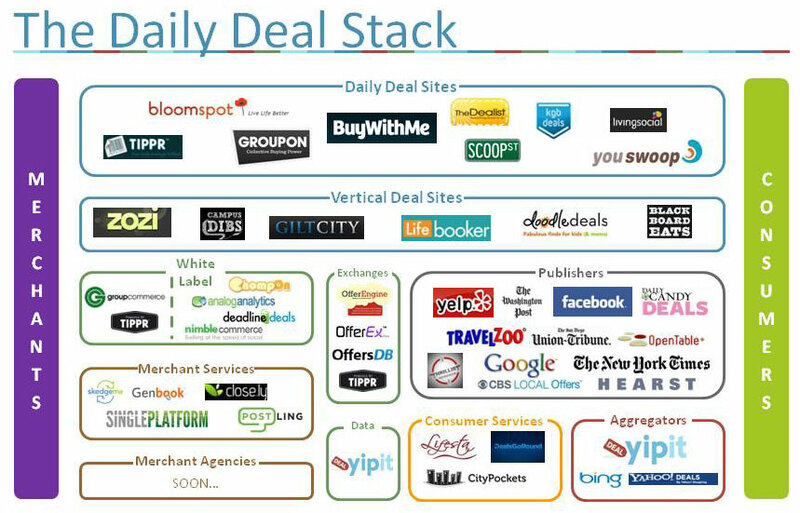 Common sites used by consumers everyday are Groupon and DealFind. Consumers can also take advantage of hotel and flight deals direct from airlines like WestJet. When dealing with airline packages you can be assured of the airline that will be used to get you to your destination and bring you back home.